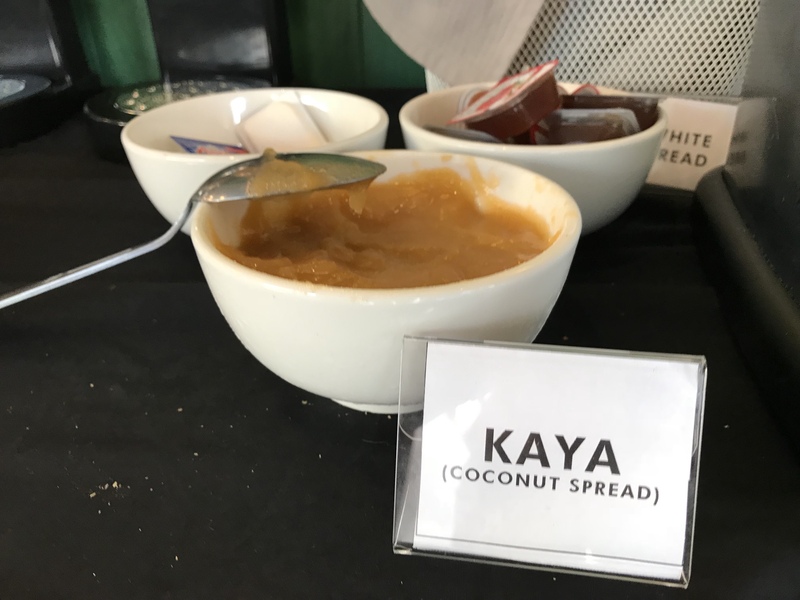 Kaya – coconut jam based on coconut milk, sugar, eggs and a plant called pandan. 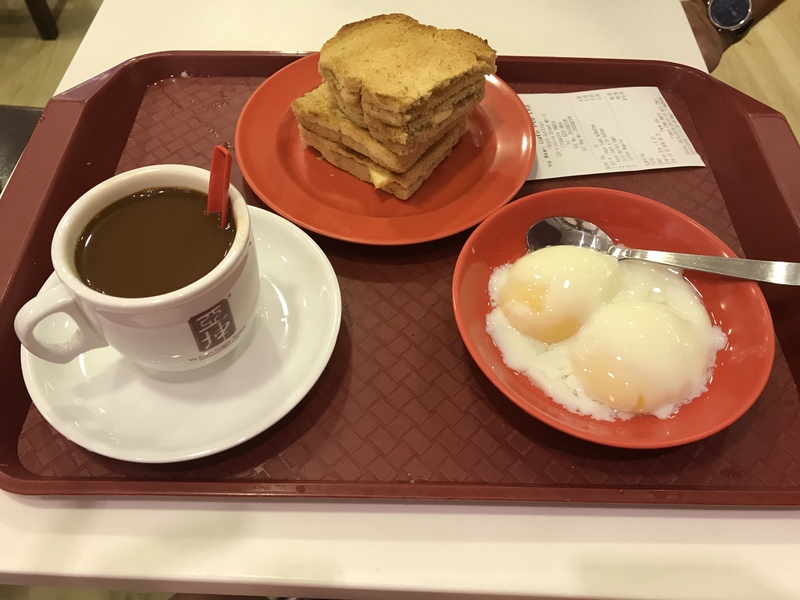 A typical breakfast in Singapore consists of toasts with butter and Kaya spread as well as soft boiled eggs. Breakfast is nutritious and really good. The Singaporeans drink sweet coffee with or without milk which they call Kopi / Kopio.